Just arrived to our children's clothing department are some fabulous new monogrammed quarter zip sweatshirts for kids. Choose from an array of colors and monogram styles to compliment your child's wardrobe for colder days. Embroidered with your choice of font style and thread color for a perfectly personal look that is as unique as your child. Moms love the classic look of these pullover sweatshirts that are wonderfully paired with jeans or corduroys. They make a great preppy style statement for cool weather casual days. Our model, Will, reports "Mom, these are so comfy and soft inside! Can I wear it to school everyday?" A hit with both kids and mothers alike as they are a high quality blend of style and cozy. Your child is sure to love them. Also available in new colors this year are personalized crew neck sweatshirts for little ones. Choose from a rainbow of colors that makes getting dressed to face the cold a lot more fun. 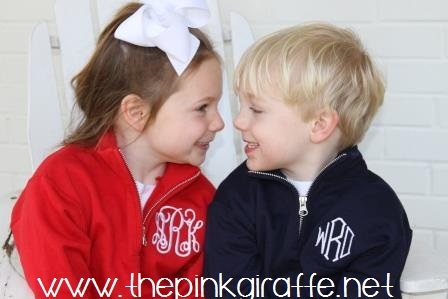 Another great new favorite in stock this season are our monogrammed zip up fleece jackets for kids and teens. They can be stitched with any thread variation for a beautifully finished fleece coat that any child will love to wear to school. 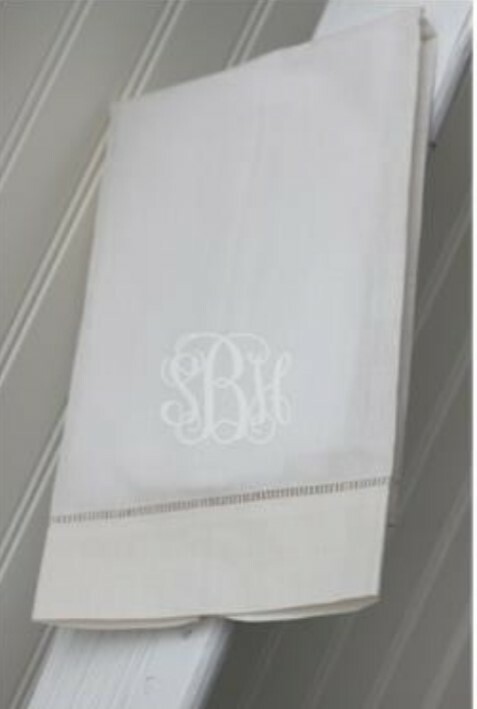 Embroidered on the left chest for optimum personalized preppy style. Hooded sweatshirts are a classic and are loved by both adults and children so it is natural that they would be a best seller for children when coupled with a monogram. Little girls can pair them with fun colored tights and twirly skirts, and little boys can be rough and tumble on the playground and still have an element of style to his play clothes. 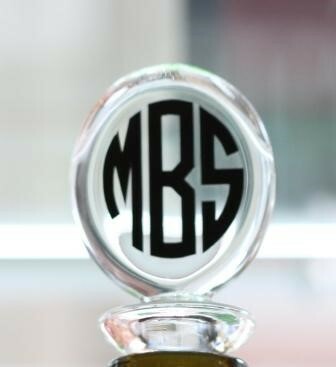 A true favorite for kids of all ages, and the best part about the personalized touch is that it will never get lost!